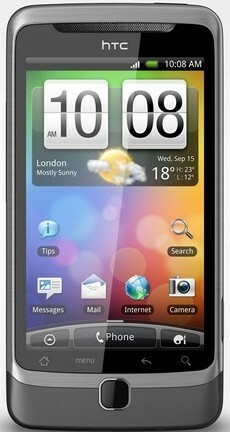 HTC today announced a new Android handset HTC Desire Z along with the HTC Desire HD – in London. Similar to the HTC Desire HD, the Desire Z is made of a single piece of aluminum. The Z like keypad hinge in HTC Desire Z is the reason behind its name. The HTC Desire Z is the first HTC Android phone * with the QWERTY keypad (outside US). Desire Z will be shipped with Android OS 2.2 Froyo and a custom HTC Sense UI over it. The new generation HTC Sense UI in HTC Desire Z has HTCSense.com support, landscape mode, redesigned mail app with unified inbox, and other improved widgets. HTC Desire Z is equipped with a 3.7 inch capacitive touch screen of QVGA resolution. HTC Desire Z is the first QWERTY enabled HTC Android device designed for the markets outside US. Typing email, messages, and working on office projects is quite easy with this mobile device. The QVGA capacitive screen in HTC Desire Z supports multi-touch and pinch-to-zoom actions in browser and photo gallery. There is an optical trackpad under the screen for moving through, home, back, search and menu buttons. HTC Desire Z comes with a 5MP camera with auto focus, LED flash, and HD video recording at 720p. Internally, at the heart, Desire Z has an 800 MHz processor, 1.5GB storage and 512 MB of RAM. HTC Sense UI interface over the Android OS – makes it easy to access weather, message, email and other widgets by sliding on the home screen. 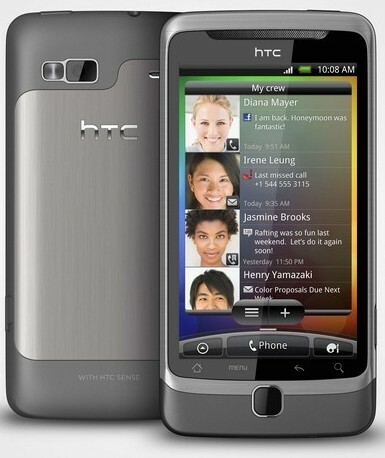 The Desire Z includes several inbuilt applications from HTC. For e.g. HTC Friend stream widget, arranges all social media updates in a single window. The HTCSense.com cloud based services like remote backup, phone tracing, calls and messaging is another notable facility in HTC Desire Z. Other features of HTC Desire Z include Bluetooth with A2DP, G-senor, WLAN, A-GPS, FM radio, Micro USB port, expandable storage up-to 32GB, Li-Ion 1300mAh batter, Digital Compass, WiFi Tethering, music player, HTML web browser with Adobe Flash support, music player, Twitter, Facebook, Android market access and Google apps. HTC will launch HTC Desire Z in the coming month October 2010, first for the European counties. HTC hasn’t announced the price of HTC Desire Z smartphone. However, we believe that it would cost around $550 without a contract. That is one sleek handset. This is the sort of fluid design that should appear in all handsets! Smart phones are getting too smart. It’s amazing to see that they are coming with 1 Ghz processor and 512 RAM. in 2002 I bought a computer which was having 800 GHz processor and 128 MB ram.